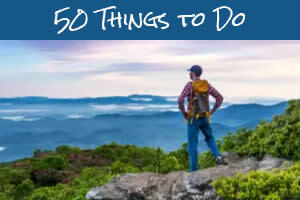 There&apos;s always something to do in Asheville and this weekend that&apos;s especially true! As we get closer and closer to welcoming fall color to the mountains, Asheville and the surrounding communities are set to prepare you with early fall festivals. Take your pick from these great celebrations of beer, the outdoors, mountain tradition and art. We have a good feeling you&apos;ll be glad you did! Saturday (Sept. 16), 10 a.m. – 6 p.m.
More than 114 juried artists and craftspeople come together in charming Weaverville, just seven miles from downtown Asheville, as part of the 11th Annual Art in Autumn Festival. Meet the artists, shop their beautiful works and jam to live music. More than $2000 in prizes will be handed out to the top artists in the show. 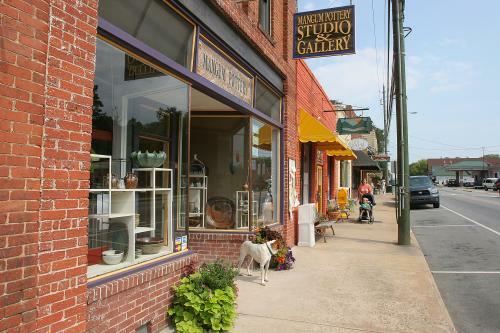 Weaverville has established itself as a culturally-rich small town and is known for its vibrant downtown, distinctive shops and renowned restaurants. While you’re in town, take some time to explore! Admission and parking are free. The festival will take place rain or shine. 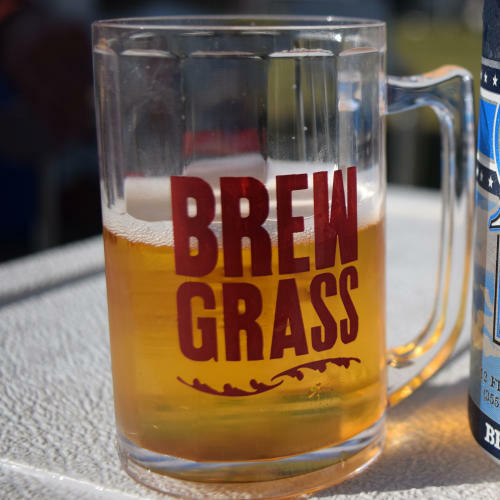 Saturday (Sept. 16), 12 p.m. – 6 p.m.
Asheville is Beer City USA and Brewgrass is its original craft beer festival. Brewgrass Festival is notorious for showcasing some of the most in-demand and exciting breweries in the region during the past 21 years. In Asheville’s memorial stadium, sample beers from more than 50 breweries while listening to bluegrass-infused live music. Tickets are $55 and sell out nearly every year. Get your ticked before they’re gone by clicking HERE. If you can’t snag one of the coveted tickets to Brewgrass, head to one of the Asheville area’s 30+ breweries! Asheville has the most breweries per capita of any city in the United States. You’ll find many of the top breweries within walking distance of one another in the growing South Slope District just a few blocks south of downtown. 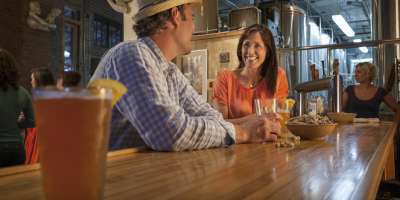 But don’t miss out on breweries such as The Wedge, New Belgium, and Highland, which are spread out throughout Asheville. Lights, camera, action! Take your seat for this showcase of thought-provoking films. The Asheville Film Festival celebrates the art of film making and is dedicated to sharing unique, interesting, quality, challenging, and entertaining films to Western North Carolina. Saturday (Sept. 16), 11 a.m. – 3 p.m. 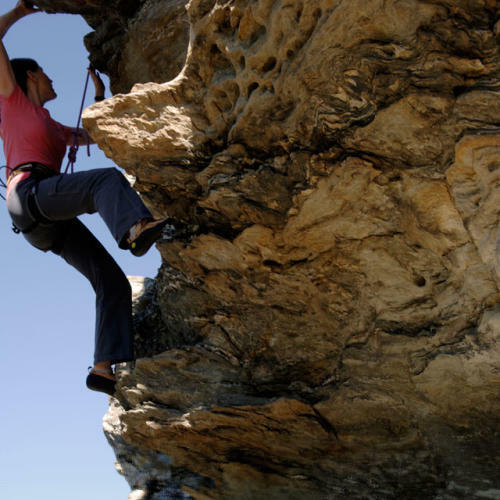 This annual birding event at Chimney Rock continues to fly to new heights! 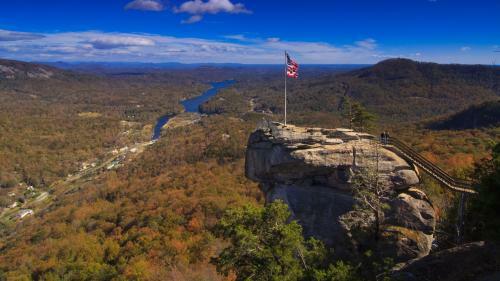 Flock to the Rock was originally created to help show people why Hickory Nut Gorge is such a premier birding location. It’s grown in size and popularity every year. Now, in its 9th year, the event includes guided bird walks, raptor flight shows, live bird demonstrations, and workshops. 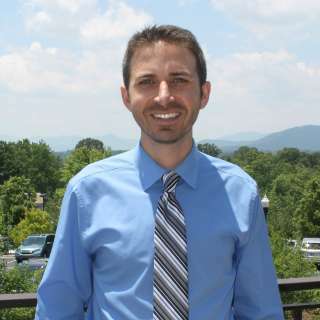 While there, you’ll want to hike to the view from the top of Chimney Rock or take relatively easy trail to beautiful Hickory Nut Falls. Saturday (Sept. 16. ), 10 a.m. – 4 p.m., Sunday (Sept. 17), 12-5 p.m.
Mountain heritage takes center stage with craft demonstrations, traditional music and dancing and southern eats! The Blue Ridge Parkway’s Folk Art Center plays host to this free celebration of Appalachian culture. For the past 37 years, one of the highlights of Heritage Weekend is the World Gee Haw Whimmy Diddle Competition. A whimmy diddle is an Appalachian mountain toy traditionally made from two sticks of rhododendron. Throughout the weekend, on-going craft demonstrations will include traditional woodworking, weaving, spinning, dyeing, broom making, stone carving and print making. 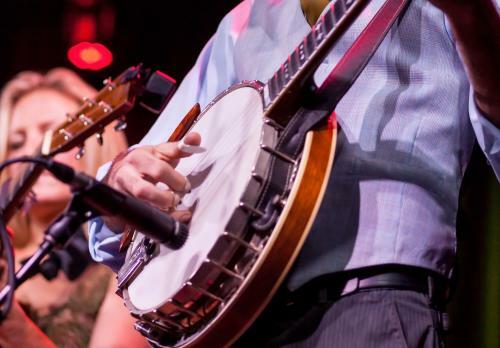 On stage, there’ll be blue grass and gospel music with local cloggers demonstrating their fancy footwork. While you’re up on the Blue Ridge Parkway at the Folk Art Center, you’ll be just steps away from the trailhead for Lunch Rocks. This moderate trail is a section of the Mountains-to-Sea-Trail and leads from the Folk Art Center to a beautiful view of Haw Creek Valley. The trail is 4.9 miles round trip. Saturday (Sept. 16), 10 a.m. – 4 p.m.
Gear up for autumn with the Mountain Life Festival, dedicated to sharing the traditional fall activities that were an important part of rural life in the southern mountains. At the center of the event is the sorghum syrup demonstration, which the National Park has offered for more than 30 years. Other demonstrations will include hearth cooking, apple butter making, blacksmithing, lye soap making, food preservation, and gardening. You’ll also have the opportunity to see artifacts and historic photographs from the National Park’s collection. During the festival, listen to the music jam session held on the porch of the Oconaluftee Visitor Center. Sunday (Sept. 17), 12-4 p.m. 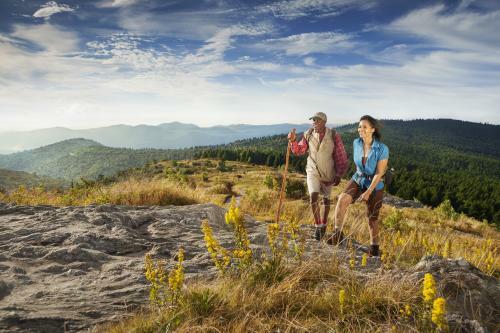 Check out the finest outdoor brands and latest trends in recreation at the Asheville Outdoor Show presented by Diamond Brand Outdoors. On display will be innovators in the outdoor gear industry known for quality, variety and uniqueness. Enjoy discounts on your favorite brands while also listing to music and playing outdoor games. From fair rides to mountain music, livestock shows to arts competitions, the North Carolina Mountain State Fair offers something for people of all ages! This is the final weekend of the 10-day fair, which is a celebration of the agricultural traditions of western North Carolina. 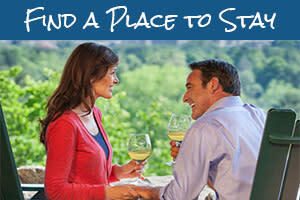 Click HERE for hours, ticket information and special promotions. Top photo by Steven McBride. Downtown Weaverville photo by Tim Barnwell. Chimney Rock photo and hiking photo by Jared Kay. Banjo photo by Art Meripol.